New Delhi: Indo-Tibetan Border Police (ITBP) force is planning to raise 16 battalions in the next four to five years. While there was a proposal previously to induct eight battalions in Arunachal Pradesh, the home ministry has further given the approval ‘in-principle’ for eight additional battalions – taking the count to 16 now. Apparently, the new director general (DG), Krishna Chaudhary, raised the issue of increasing the strength with the home minister Rajnath Singh, few weeks after he took charge as the DG. The main intention of these additional forces is to enable rest and recuperation for the troops that are deployed in the tough and inhospitable high altitude regions. While ITBP soldiers do have some postings in the plains, the immediate deployment of soldiers from the high altitude border guarding duties to internal security without a proper rest period is adding to the woes of the jawans. With new battalions once raised, a part of the problem would be solved. Currently, more than 60 per cent of the ITBP troops are deployed in the border guarding duties along Indo-China border, most of which is inhospitable, due to heavy snow throughout the year. The problem with this rapid induction is the training. How will the ITBP manage to raise at least 12,000 personnel with its current infrastructure? One ITBP officer claims that they, in fact, do have enough resources to undertake this mammoth task, in the stipulated time-frame. It might take around two months to get all the necessary sanctions, and 24 months for recruitment and training of personnel. 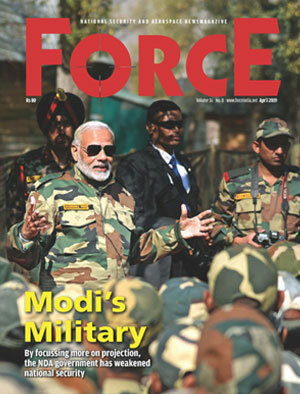 “The ITBP has resources to raise four new battalions in one financial year. It has done so previously. So, the number of 16 battalions in the span of five years is doable,” he said. Currently, ITBP trains its men in four basic training centres — in Bhanu, Panchkula (Haryana); Karera, Shivpuri (MP); Shivganga (Tamil Nadu); and Itanagar (Arunachal Pradesh). While these training centres do have resources for 1,000 trainees a year, it can apparently accommodate twice the number of trainees, during the new raisings. In the last few months, the government has emphasised a great deal on the infrastructure development. The home ministry has sanctioned 54 new border outposts (BOPs) to fill the gaps on the border of Arunachal Pradesh. “Apart from the BOPs, the government has also sanctioned funds for 72 staging camps,” an ITBP officer told FORCE. These staging camps will support the troops moving from one BOP to another with logistic supply, and could also double up as night camps whenever required. The first eight battalions will form the manpower for the 54 new BOPs that will come up in Arunachal Pradesh. A frontier headquarters and two sector headquarters are also planned to support these additional troops. However, it is unclear where will the remaining eight battalions get their deployments from. One proposal is to open ITBP centres in states where there is little presence – like Gujarat, Maharashtra, West Bengal and Tripura, so that the recruits from these areas can get their home posting for a certain amount of time in their career. At present, ITBP mans 163 BOPs, and has a total strength of 60 battalions. Home minister Rajnath Singh, in a recent interaction with the ITBP personnel, said that his ministry is keen to modernise the Central Armed Police Forces (CAPFs). He said that the ministry is considering deploying Unmanned Aerial Vehicles (UAVs) for keeping more effective surveillance of the borders. Besides, mobile tower facility will soon be started at the border that will help jawans serving at borders to talk to their family back home. Singh said that permission to install 134 mobile towers had been given. Assuring better border infrastructure, he said that 34 new border roads have been approved; besides work on 27 priority border roads has started. Singh further said that he recently visited Israel and saw that modern technology was used by Israel to guard its borders. He plans to implement some of those technologies along the Indian borders.